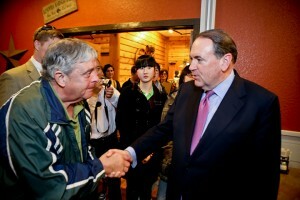 Republican presidential candidate and former Arkansas Gov. Mike Huckabee, by the end of this week, will have completed one-third of the “full Grassley” 99-county tour of Iowa. He has announced more Iowa stops for this Thursday, which will have put him in 33 of the state’s 99 counties.